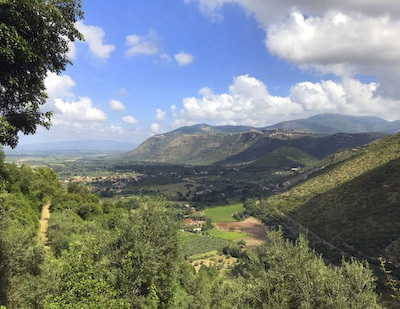 The Lepini Mountains are one of Italys best-kept secrets. 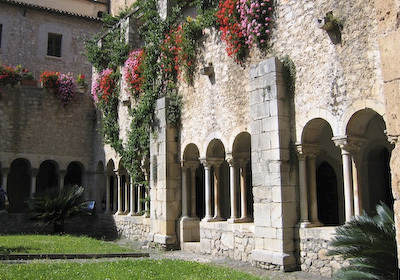 Villages on hills and cliffs, castles, abbeys, ancient walls and temples, vineyard accommodations, great wine and food. And a whole world of glorious walks. 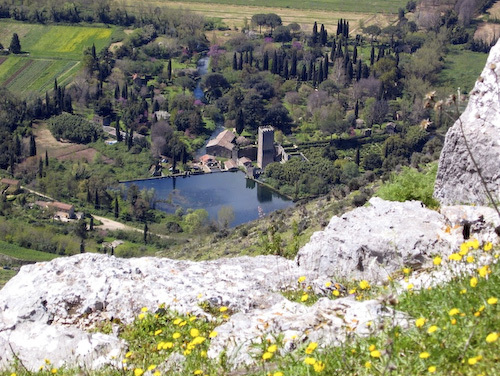 An hour south of Rome, rugged limestone mountains rise abruptly above the coastal plain. 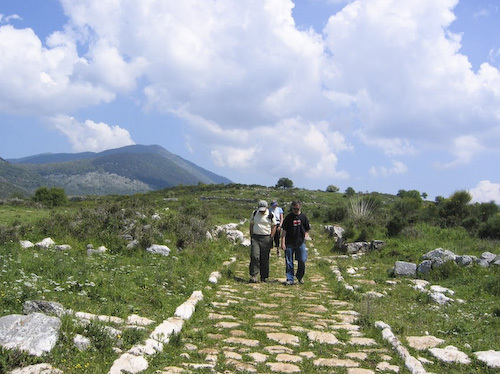 Ancient roads and paths wind along the edge, some older than Rome. 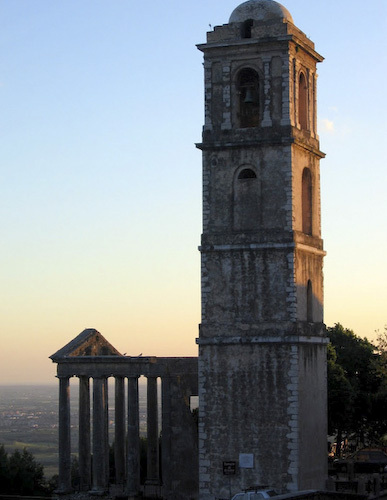 Towns barely touched by tourism enchant the visitor with their beauty, their traditions, their stories. 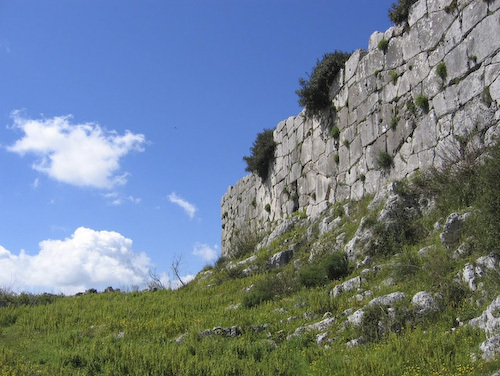 Cori rises like a pyramid, concentric terraces of huge limestone blocks stacked one above the other 25 centuries ago. At the top stands a Roman temple. 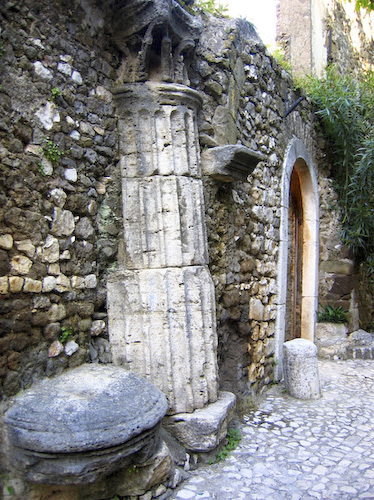 Scattered about are columns and architectural fragments, some embedded in buildings. The town comes to life in the evening, when young and old congregate in the piazza to chat, flirt, and ogle babies. Scenic walking paths wind through the hills above town. 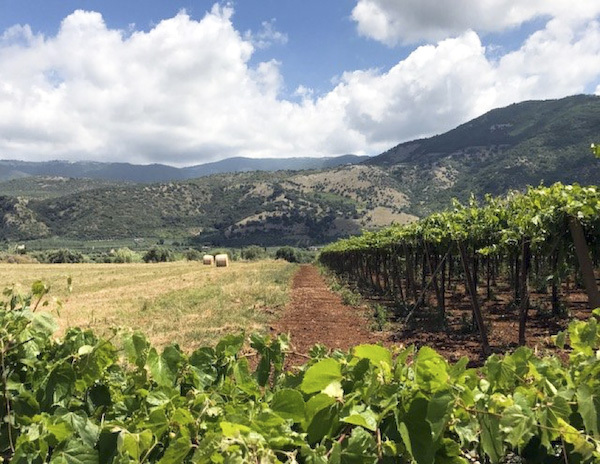 Just below are lovely vineyard accommodations in a 19th-century farmhouse, offered by the acclaimed Cincinnato winery. 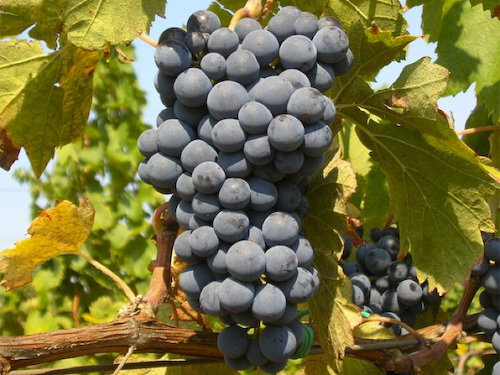 Delicious meals with wine pairings are provided in the chic vineyard restaurant. 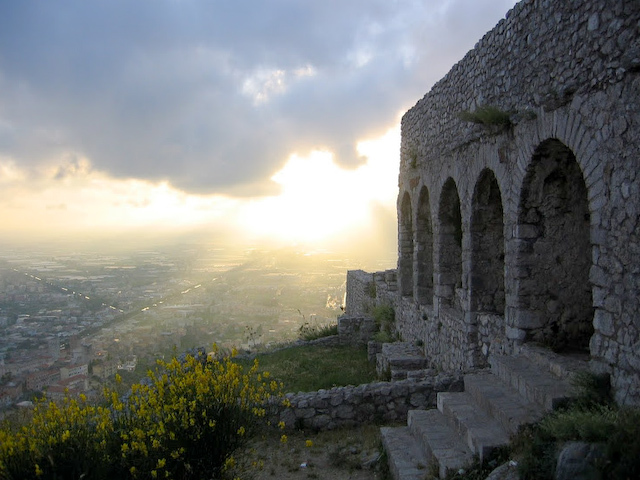 Bright limestone houses and streets cluster below Sermonetas massive Caetani Castle. Picturesque alleys are enclosed by a circuit of medieval walls, with breathtaking views of the mountains, plain and coast. 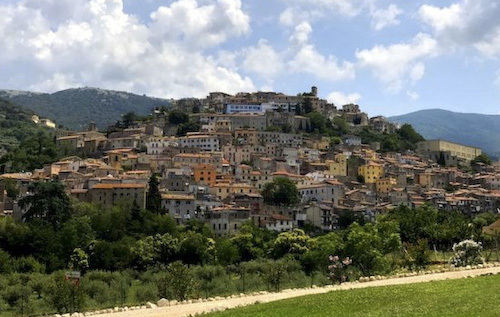 Tranquil by nature, the town comes to life in May for Maggio Sermonetana, a street festival of music, dance and art. 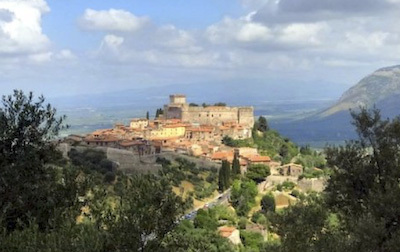 You can walk to the graceful Cistercian Abbey of Valvisciolo and the colorful mountain town of Bassiano. Modern accommodations in a beautifully restored villa with panoramic terrace. 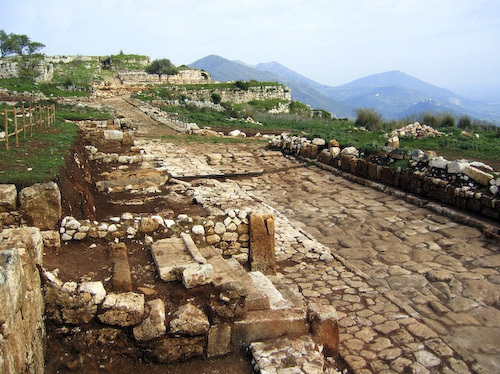 Once a prominent Roman town, Norba was razed to the ground in 82 BC after choosing the wrong side in the disastrous Roman civil war. 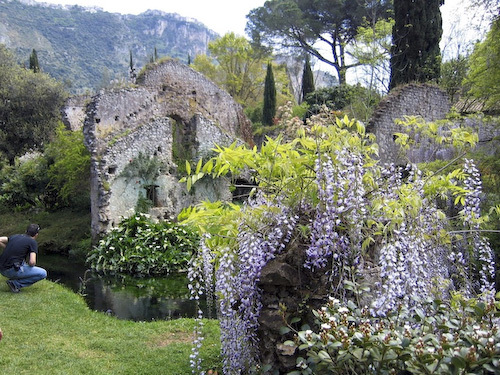 The remains are spectacular  defensive walls of huge polygonal masonry, paved streets, towers, cisterns, remnants of houses and temples  all perched high on a cliff overlooking the Gardens of Ninfa. 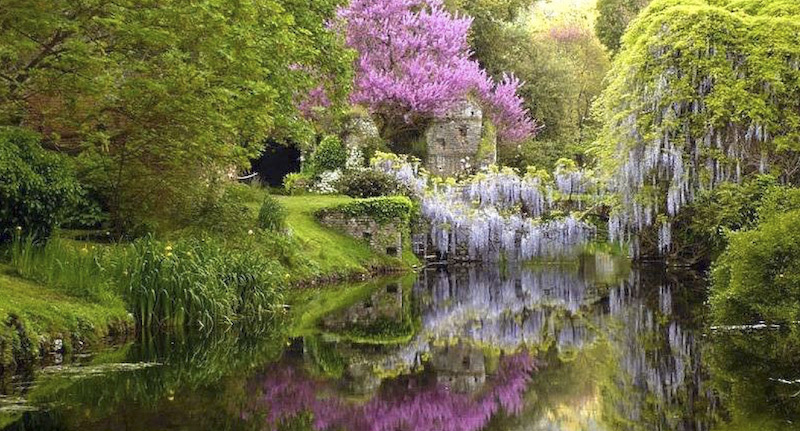 A fairy-tale village complete with castle, town hall and churches, Ninfa was sacked in the 12th century and abandoned. 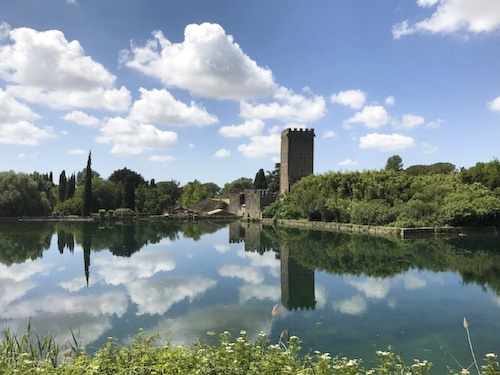 In 1921 the Caetani family began transforming it into a landscape garden, with vine-glad ruins and a lovely lake and stream fed by mountain springs. Garden writer Charles Quest-Ritson calls it the most romantic garden in the world. One-hour guided tours. 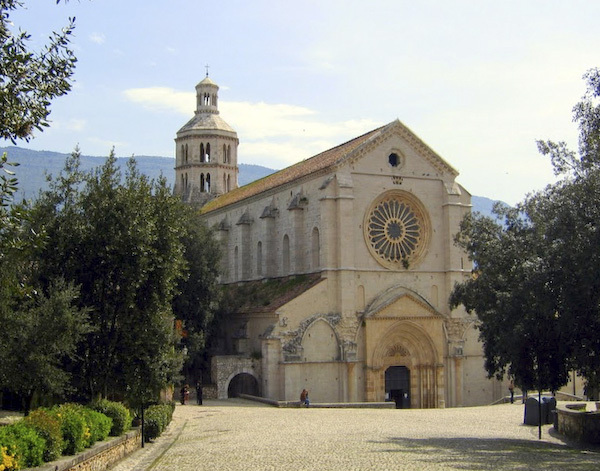 If there is interest we can visit the 12th-century Cistercian Abbey of Fossanova and the Mediterranean port of Terracina, a former Roman town with fascinating ruins. 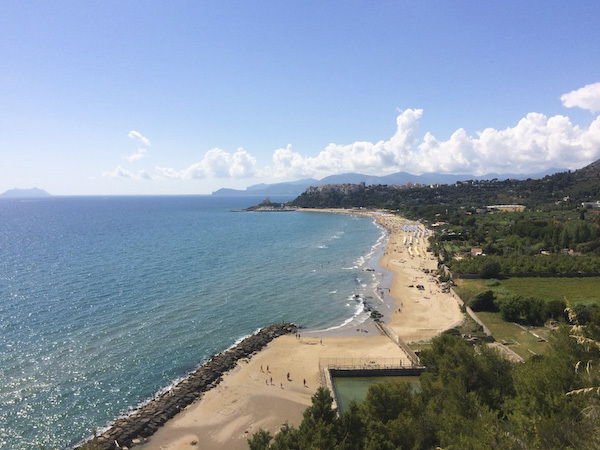 Also possible is a stay at the picturesque beach town of Sperlonga, where the Emperor Tiberius built a villa and an art installation in a sea cave. 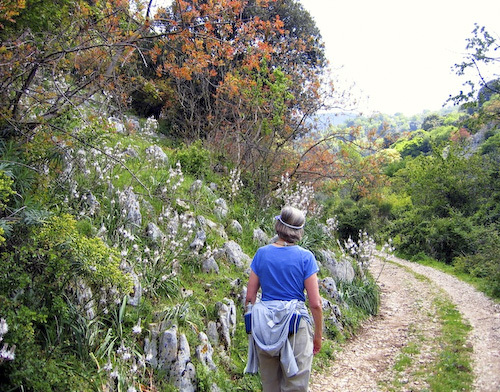 Each trip is tailored to the groups interests and preferred dates. (based on double occupancy; add 15% for single). 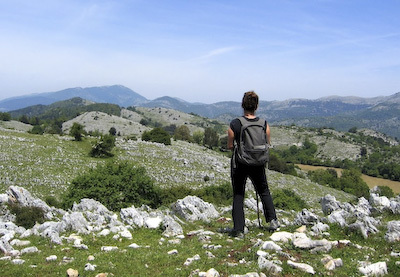 Includes daily guided walks, all meals, lodging and transportation. We meet in Rome 	flight to Rome not included. Price in US Dollars will be calculated at the time of the trip. 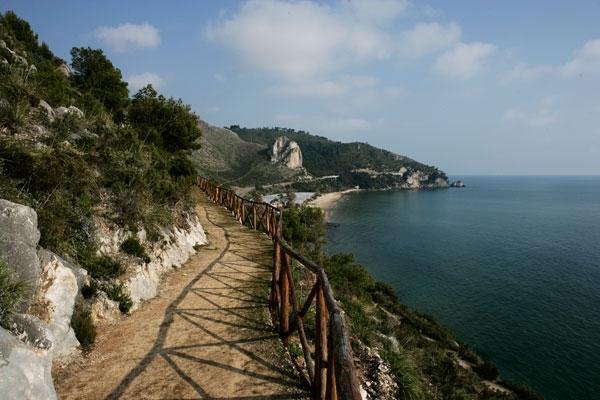 A stay at the coastal town of Sperlonga can be arranged at additional cost.